Early Christianity is commonly defined as the Christianity of the three centuries between the Crucifixion of Jesus (c. 30) and the First Council of Nicaea (325). It began within first-century Judaism with the followers of James the Just, generally considered one of the Twelve apostles, but gradually became distinct from Rabbinic Judaism. According to the Acts of the Apostles, the church was first centered in Jerusalem. James the Just who may have been a relative of Jesus, was martyred in c. 62, the Temple was destroyed in 70, and Jews were banned from the city after the Bar Kokhba revolt c. 135, all events which weakened the Jerusalem Church. Churches of the eastern part of the Roman empire, notably in Alexandria and Antioch, used Greek and developed Hellenistic theologies. Churches of the western part of the empire eventually took to using Latin and excelled at the Roman virtues of discipline and rule. Christians continued to revere the Hebrew Bible, but added to it with their own writings. They used the Septuagint translation that was in general use among Greek-speaking Jews and Christians. What started as a religious movement within Second Temple Judaism became, by the end of this period, the favored religion of the Roman Empire under Constantine the Great (leading later to the rise of Christendom), and a significant religion also outside of the empire. According to Will Durant, the Christian Church prevailed because it offered an attractive doctrine and because the church leaders addressed human needs better than their rivals. The First Council of Nicaea marks the end of this era and the beginning of the period of the first seven Ecumenical Councils (325 - 787). The Council of Chalcedon is believed to have been the fourth ecumenical council by the Eastern Orthodox Church and the Roman Catholic Church. It was held from 8 October to 1 November 451 at Chalcedon (a city of Bithynia in Asia Minor), today the district of Kadıku on the Asian side of the Bosphorus, incorporated into the city of Istanbul. The Council of Chalcedon is the fourth of the first seven Ecumenical Councils in Christianity, and is therefore recognized as infallible in its dogmatic definitions by the Roman Catholic and Eastern Orthodox Churches (then one church). The Trinity as defined by these councils is also taken as orthodox among most Protestants. However, the Council resulted in a major schism, with those who refused to accept its teaching, now known as Oriental Orthodoxy, being accused of monophysitism. The Oriental Orthodox churches reject the "monophysite" label and instead describe themselves as miaphysite. 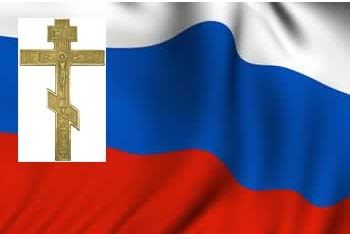 - Formally in 1054 The East-West Schism between Western Roman Catholic and Eastern Orthodox Christianity. - 1378 to 1417 The Western Schism within the Roman Catholic Church, related to the popes in Avignon versus those in Rome. - 1666–1667 The Old Believers schism in the Russian Orthodox Church. The art and architecture of the Orthodox Church came to maturity in the Christian Roman, or Byzantine, Empire and accompanied the faith to those countries that received their Christianity from Byzantium. It also exerted strong influence on the art of Western Christians until well into the thirteenth century. In the Orthodox world the fall of Constantinople in 1453 accelerated the development of national styles within the Byzantine tradition - Greek, Serbian, Russian, Bulgarian, Romanian, Arabic - but also led to the gradual adoption of Renaissance and Baroque ideas from the West, until in the nineteenth century the Byzantine essence of Orthodox art was barely discernible beneath the Western overlay. In recent decades, however, Orthodox artists have begun to recover their Byzantine heritage, just as Orthodox theologians have returned to the patristic sources of Orthodoxy.